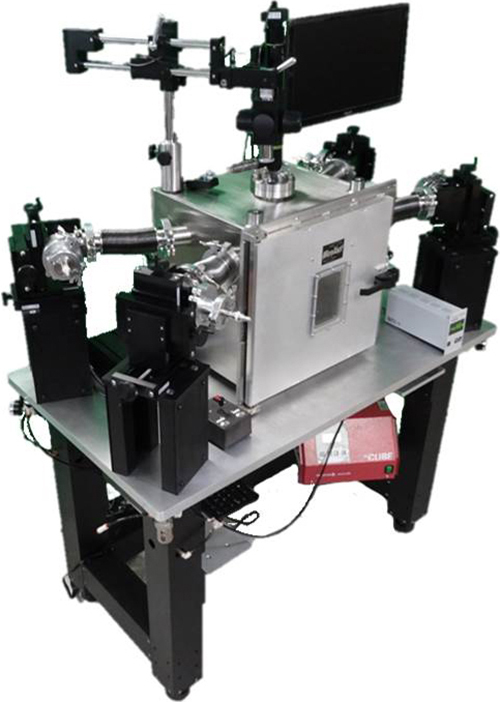 The SPS-2600-VAC and SPS-2800-VAC Series are MicroXact’s vacuum probe systems designed to support motorized or semi-automatic probing of up to 100mm or up to 200mm wafers in a vacuum or controlled gas atmosphere. 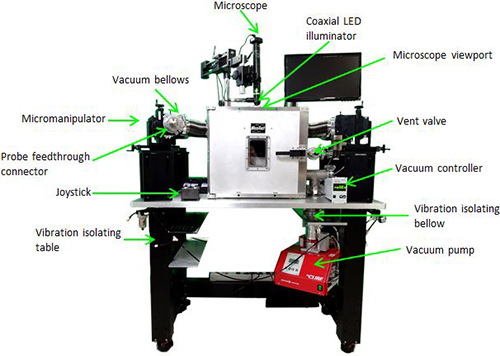 This vacuum testing solution is systematic and precise, cost-efficient, low noise and convenient-to-use. 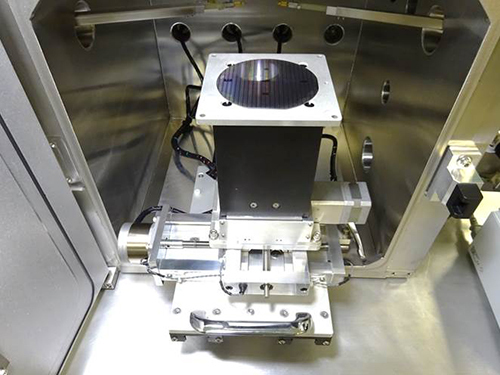 These vacuum probe systems are built on a vibration-compensated, versatile platform capable of being configured to handle a wide range of probing applications. Ideal for icing-free testing down to 77K or for high temperature testing of devices and components that are prone to oxidation, MicroXact’s vacuum probe systems offer controlled environment wafer-level probing. 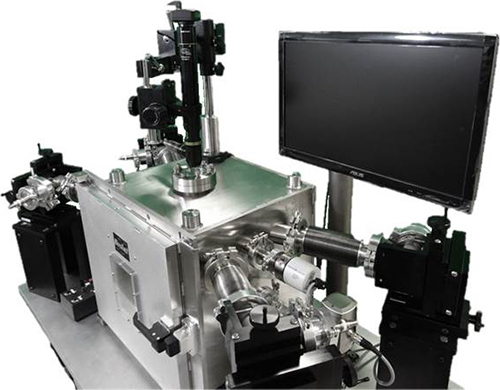 Available with standard repeatability/resolution (+/-7mm/1.5mm) and high repeatability/resolution (better than 2mm/100nm) in X & Y. Available with manual or motorized theta stage. Probe arms with external manual micromanipulator adjustment are available. Available with liquid nitrogen-cooled thermal chucks for testing down to liquid nitrogen temperatures. Standard configuration includes 7:1X zoom tube for better than 4 μm resolution. 12.5:1 and 16:1 zoom lenses are also available. High-resolution compound microscopes can be accommodated with special top lid design. XactTest™ automation software with addition of automated pressure control.